This is a large summer house that has a width of 5m. This is more than enough space to entertain friends, as well as use the building for.. 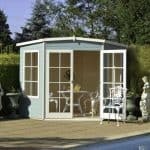 This is a 6ft wide summerhouse that is part of a large range that includes buildings that go up to 10ft wide. 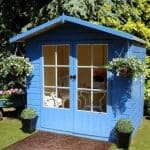 The summerhouse has a compact and.. Looking for bifold shed doors? 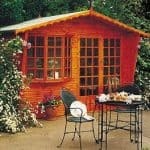 Now here’s a summerhouse that you can be really proud of! The Blenheim wooden summerhouse has stunning bi-fold shed doors which open fully.. 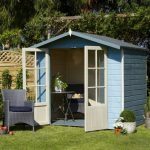 This is a beautifully designed wooden corner summerhouse with large and impressive looking windows and wide, light and airy double doors to make getting in and out nice.. 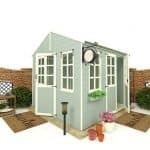 This is a real beauty, a corner summerhouse which will turn heads of anyone who comes into your garden. Constructed out of tongue and groove cladding to ensure.. 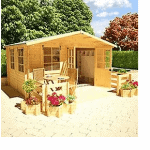 This is a real beauty, a corner summerhouse which will turn heads in your garden. 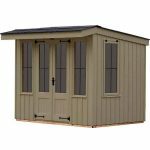 Constructed out of tongue and groove cladding so it is strong, durable and.. 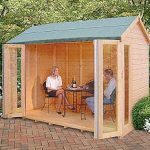 This is a good sized summerhouse that would also work as a place for general storage or even as a greenhouse. It is constructed out of long lasting.. 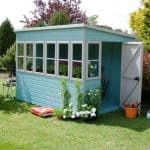 This is a beautiful outbuilding which is constructed from hard wearing and long lasting tongue and groove shiplap wood that really does have a very appealing look that.. 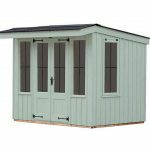 This is a real beauty, a corner summerhouse which will turn heads in your garden and impress everyone who lays eyes on it. Constructed out of tongue and.. 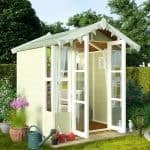 This 8” x 8” summerhouse is a fantastic place where you can spend countless hours relaxing inside and it also offers a wonderful veranda to help with all.. There is a lot to like about this summerhouse. It will fill any corner with style, and it has some great features like tongue and groove in all.. 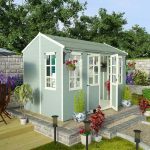 This summer house is a great way to add more space to your home, and offer a spacious, comfortable living and entertaining area where you can relax or.. 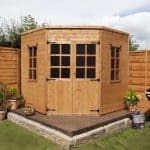 This 7 x 7 Georgian summerhouse is an attractive building that will add style and subtlety to your garden and give you many, many years of enjoyment no.. This is a great place to sit and relax. 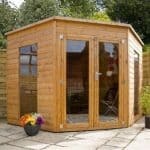 With four good size windows and a roof that is possibly the most attractive modern structural change in summerhouses.. 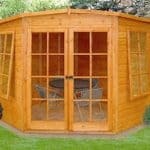 This is an excellent summerhouse that provides plenty of value for money. The quality is excellent, and the long life aspect really adds value. We liked the customisation..
To say that the Flatford Summerhouse knocked our socks off is an understatement. 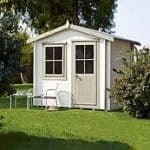 It is hard to think of a summerhouse or a shed that has made our..
We think that it is scientifically impossible not to be wowed by this fantastic, compact sized, Flatford Summerhouse. 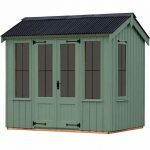 The National Trust series of sheds from Crane have been.. Here we have the Rolls Royce of summerhouses, The Flatford Summerhouse. Crane have been doing an incredible job in bringing back those old, classic and proper, English style..
By taking inspiration (and doing a whole heck of research as well we might add!) on classic, East Anglian style traditional English sheds and summerhouses. Crane have come.. 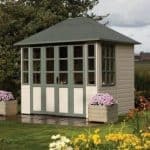 Many modern summerhouses seem to follow a conventional design these days and that is great, but sometimes you get a company like, Crane who look to the past..
At 10 X 6 there is no denying that the gorgeous, Ickworth Summerhouse would be a stand out feature in any garden! Crane made the brave decision to..
Wow is what you will say the first time that you see the huge 10 X 8, Ickworth Summerhouse…… well that is after you have picked your jaw..
For the person looking for a summerhouse that has that old school, vintage or if your prefer just classic British look. They will no doubt think they have.. 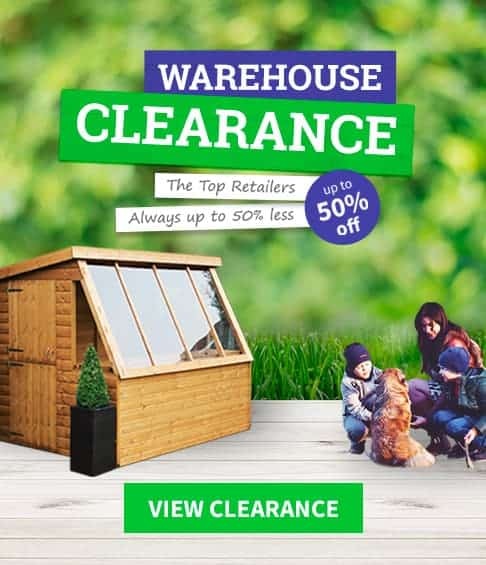 If you were walking past the Lavenham Summerhouse and just glanced out of the corner of your eye, you could be forgiven for thinking that this was a.. 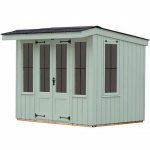 The large and impressive looking 10 X 8 Lavenham Summerhouse has a classic, East Anglian design and will serve as a lovely place to take in the evening,.. 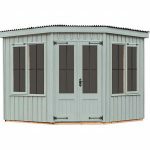 This 8 X 8 Lavenham Summerhouse with its very British, corrugated roof and sawn board cladding offers you a unique and very classic type of place to enjoy..
Now here’s a summerhouse to be proud of! 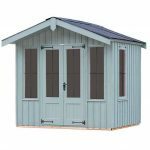 The Blenheim wooden summerhouse has stunning bi-fold doors which open fully so you can still enjoy the outdoors but remain.. 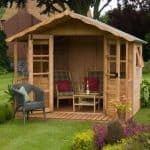 This beautiful summerhouse is crafted out of long lasting and hard wearing wood with tongue and groove cladding. Large double front doors with windows and side windows means.. 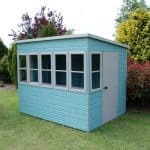 This beautiful looking summerhouse will turn heads in any garden and has been built to last using wood with 12mm tongue & groove walls, floor and roof, It.. This is a beautiful outbuilding which is constructed from hard wearing and long lasting tongue & groove shiplap wood. It has large double doors which have toughened glass.. This is truly sumptuous and adds an elegant feature to any garden. 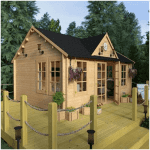 The Sandringham is a beautiful looking summerhouse will turn heads in any garden and has been.. 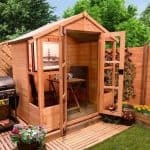 This is a large garden workshop or summerhouse constructed out of long lasting and hard wearing tongue & groove timber. It has a stylish pent roof and many.. 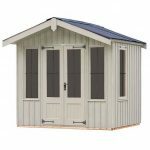 This is an excellent small size summerhouse which is made out of long lasting and hard wearing tongue & groove shiplap wood. It has generous large doors with.. This is a beautiful outbuilding which is constructed from hard wearing and long lasting tongue & groove shiplap wood. It has large double doors which have window feature.. This is a beautifully designed wooden summerhouse with functional opening windows and wide, light and airy double doors. 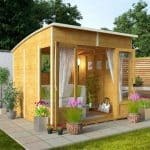 It is particularly for the corner of a garden and.. 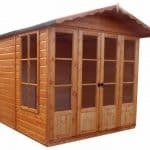 This is a delightful medium size log cabin and will add great space to your garden – use as a workshop, summerhouse or just for storage. It is constructed..